. We decided to showcase his work here and interview him about his unique approach to highlighting symmetrical simplicity and motion in a setting that often gets overlooked. What is your objective with this series? Can you explain a little about why you have chosen to feature the Montreal Metro for this project? The Montreal Metro Project grew out of a love for architecture photography, and an equally strong passion for my city. 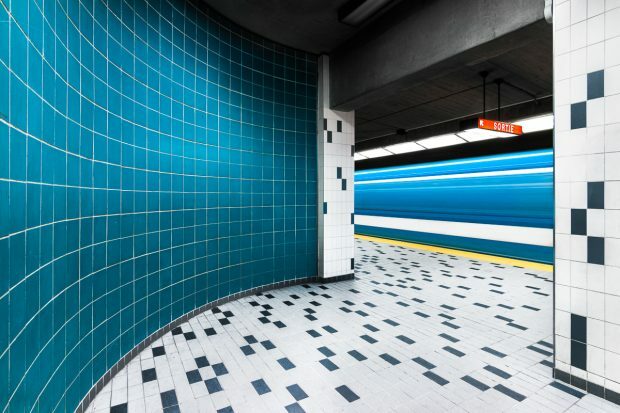 My objective with the series is to explore the architecture, art, and design of Montreal’s metro system and show it off in a new more lively and positive light. My goal is to show people how beautiful these spaces can be, because to the average commuter they’re simply dirty, loud, and unenjoyable. If you take the time to appreciate your surroundings, you’ll find there’s so much more. Tell us about the moment when you first decided that this was what you wanted to photograph. What were you looking at, what did you see when you had that “aha” moment? I had known for quite a while that I wanted to take on a metro-based project, not necessarily a photo project. When I developed more of an interest in architecture, taking the metro daily I began to take notice of the stations in a new way. Passing by De La Savane station (the first station I shot in the series) I saw a composition I thought might work well, I took the shot, waited for the metro to pass through, saw how nicely it blurred, and that was it. It worked just as I had seen it in my head and I was so happy with it I had no choice but to try others. Your photos clearly elicit a sense of beauty and smoothness to this underground facility. Do you think that this in contrast to what someone might experience on their normal commute there? My goal is to make the stations look appealing, and often times that means I have to remove advertisements, graffiti, and brighten up the scene a bit. This sometimes requires a bit of creative post processing. What were some of the major challenges of shooting in this location? Were you constantly waiting for the people to move, avoiding the metro police, or getting hit by a train, etc? The biggest challenge when shooting in the metro is keeping inspired. It’s easy to walk around and see the stations symmetrically, or photography the platform across the tracks, and although it may look good every now and then, my job is to see these spaces in a unique way and translate that to the final image. After spending nearly a year shooting the metros, keeping it fresh will forever be the biggest challenge. Other than that, avoiding metro security, and keeping unwanted people out of the shots are always a concern. What are your business or promotional goals for this specific project? What are some of your techniques for driving awareness and exposure for your subway photography? As for project goals, I hope to expand the series to an international level and photograph subway and metro systems throughout the world. I plan on publishing a metro architecture/photography book in the years to come. To drive awareness and exposure to the project, I strive to keep the project consistent and add a photo to the series every few days. I share my progress on Instagram (instagram.com/chrismforsyth) using #mtlmetroproject. My best advice concerning the series came from one of my photography teachers, a Montreal architecture photographer named Ray Van Dusen. He taught me to strive to see more than symmetry in architecture, and once you’ve taken a photo, turn 180º and see what’s behind you. You can follow Chris and his subway photos on his site. 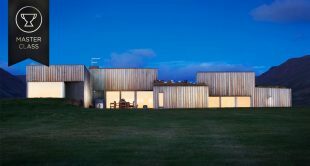 You can also learn all about architectural photography by checking out the great course taught by professional photographer, Mike Kelley.